Metro Self Storage offers a variety of climate-controlled storage units designed to meet your household and business storage needs. Climate-controlled storage units are highly sought after in regions of the country where wintertime weather conditions routinely drop below freezing and high heat and humidity occur during the summer months. If you live in the South or Midwest, renting a climate-controlled storage unit is beneficial if you plan to store your items for several months or longer. You can expect to find our state-of-the-art storage facilities designed to meet the needs of the regions they serve so that you get the best storage solution when you choose to store with Metro Self Storage. WHAT IS THE DIFFERENCE BETWEEN CLIMATE CONTROL VS REGULAR STORAGE? What items are you planning to store? How long do you plan to store these items? Is your storage location in a region with extreme temperatures? If you plan to store family heirlooms, artwork, dozens of books, and hundreds of photographs then yes, you will want to rent a climate-controlled storage unit. Like many people, you may assume that climate-controlled storage units will cost too much. However, the benefits of keeping valued belongings safe throughout the seasons— whether bitter cold or scorching hot—will outweigh any additional storage costs in the long run. What is Climate Controlled Self Storage? The definition of climate-controlled storage, also referred to as temperature-controlled storage, can vary among storage companies and locations. Sometimes, units are only heated (and not cooled) or cooled but not heated. Nevertheless, climate-controlled storage regulates the temperature within a range of 55 and 85 degrees Fahrenheit. Air conditioned storage units are popular in places with a high heat index such as Texas and Florida where temperatures can reach into the 90s and 100s for days on end with little relief. Heated storage units tend to be more prevalent in parts of the country where bitter cold winter months like those in Minnesota seem to drag on endlessly before spring finally arrives. You can find climate-controlled storage units in all shapes and sizes to accommodate your business, household, and recreational storage needs at Metro Self Storage. Budget-friendly and ideal for personal items such as cameras, computers, or special collections like coins and stamps, climate-controlled storage lockers offer simple storage solutions. They are also ideal for business storage to keep vital records and tax documents secure and in their original condition. Metro’s modern, indoor storage facilities feature climate-controlled storage units, which means you stay comfortable whenever you visit. Additionally, your belongings have protection from dust and even the most determined pests. We understand how important it is for people to preserve their household items while in storage. Our indoor climate-controlled storage facilities provide you with the extra space you need, state-of-the-art security features, and easy access 365 days a year. Climate-controlled drive-up units are typically housed in a large indoor storage facility that offers covered loading, unloading, or drive-through areas. This type of storage unit offers the ultimate in comfort, convenience, and privacy. 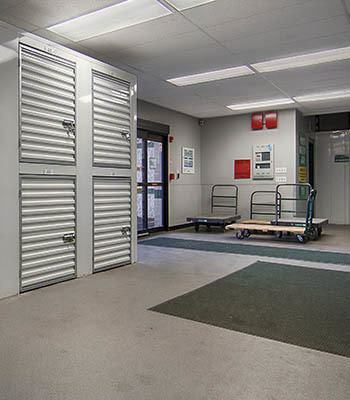 Although it is unusual to find outdoor climate-controlled storage units with drive-up access—think of a temperature-controlled garage—Metro Self Storage offers exterior drive-up climate-controlled storage units at select facilities. If you plan to storage anything that is sensitive to extreme temperatures, climate-controlled storage units offer several benefits in weather zones that experience extreme temperature fluctuations. Finding temperature-controlled storage may not be as critical in areas that enjoy a mild Mediterranean climate year round. Providing the correct storage environment for your items will help them last longer. If you are unsure whether or not your belongings would benefit from being stored in one of our climate-controlled self storage units, give us a call, and one of our friendly and helpful storage experts will be happy to help you choose the right size and type of space for your belongings. If you are storing in a city you currently live in, then you will understand the temperatures and seasons. However, if you are relocating to another part of the country, whether or not it has a high heat index score can help you determine if you might need a climate-controlled storage unit. The heat index, adopted by the National Weather Service to explain how people perceive hotter temperatures, is the combination of air temperature and relative humidity. While it helps keep individuals and pets safe during extreme temperatures, it also alerts us to the need for climate-controlled storage so we can keep our belongings safe too. Does climate-controlled storage cost more than regular storage? Yes, it does. However, be sure to check with your local Metro Self Storage facility for our budget-friendly storage coupons and Internet Promotions. Keep in mind, that a few dollars extra per month is worth the price to protect irreplaceable or valuable objects—photos, instruments, electronics, memorabilia, and furniture—and to safeguard your items while in storage. Contact your local Metro Self Storage facility with your questions about climate-controlled storage units.